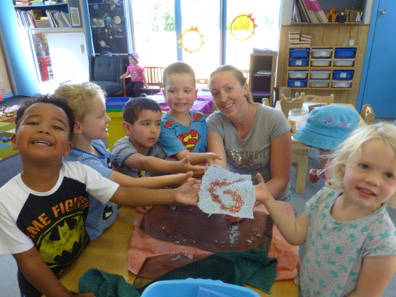 Six Goodstart Early Learning centres in the Moreland region, Victoria participated in the Little Sprouts pilot program between July-December 2016: Glenroy Pascoe Vale Road, Pascoe Vale Cumberland Road East and West, Brunswick West, Coburg and Preston. The program supported centre staff and children to learn more about local environmental issues, and embed simple, sustainability actions into centre practices. Little Sprouts was founded by local sustainability educator Carolyn Luder. The program’s success has been underpinned by personalised support, working together with Goodstart and Moreland City Council, leveraging community partnerships and a cluster approach. Sustainability education – Little Sprouts activities are underpinned by the National Quality Framework for early childhood education and care. Children from nursery to kinder were engaged in learning and handson activities via incursions on topics such as worm farms and composting, making recycled paper, protecting water quality, and how to grow a garden. Incursions were unique as they combined science, art and music. Educators continued exploring environmental topics in between incursions based on kids’ feedback. Building staff capacity – There has been a 25% increase in reported staff understanding of education for sustainability since involvement in the program. Little Sprouts built capacity of staff through participating in staff meetings, planning meetings with educators, and delivering incursions, on-ground action projects and two staff professional development opportunities on energy (with Positive Charge) and waste management (with Cleanaway). Action focus – Goodstart received $5,000 from the Moreland City Council community grants program towards Little Sprouts action projects. Actions include worm farms, compost bins, food scrap collection points, garden mulching, building hanging gardens from recycled materials, planting vegetables, herbs and water saver gardens, and upgrading recycling facilities. Many local partners also contributed in-kind support. Children were engaged in implementing and maintaining projects in daily practices. Little Sprouts helped all six centres receive new recycling infrastructure from Cleanaway, and implement simple waste collection systems. Centres can now track their energy usage through free online monitoring systems (Jemena’s Electricity Outlook Portal and Freedom to Save). Little Sprouts is currently working with Moreland City Council, Positive Charge, Eco Bright Energy Solutions and City of Darebin to investigate other energy efficiency actions such as installing LEDs, using split system heating instead of central heating, improving insulation, and installing solar. Engaging the community – Building relationships between centres and the broader community is a key focus of the program. 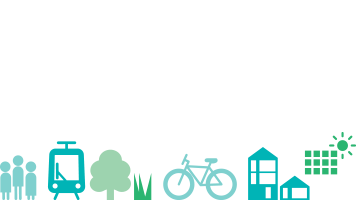 There has been an increase in partnerships built between centres, their communities, Council and other local organisations. Centre parents were also engaged in activities through newsletters, faceto-face discussions, displays and events. – 200 kWh/month saved by Goodstart Coburg simply by hanging clothes outside instead or using a dryer.